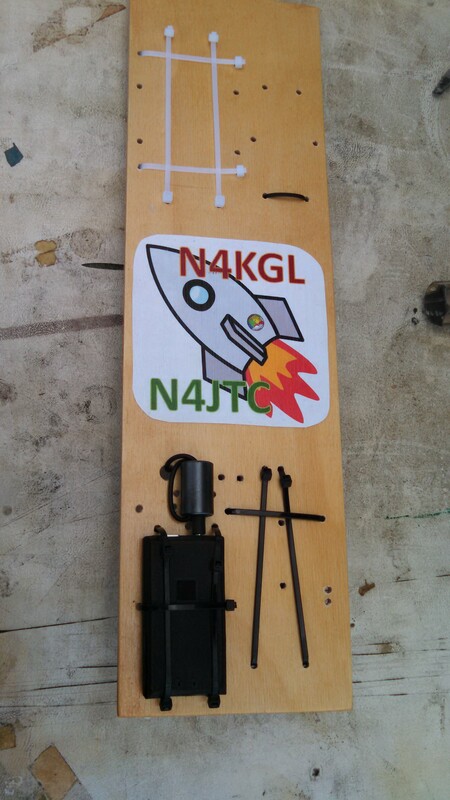 Greg, N4KGL and I worked on a joint project to build and launch an APRS rocket payload. 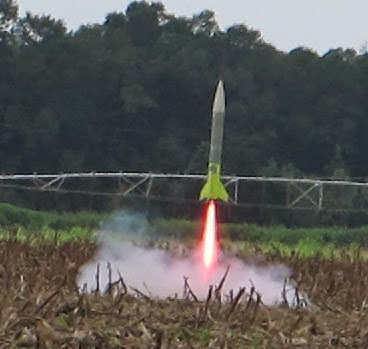 We finally got to launch it yesterday after a small delay due to field availability. It included the Mobilinkd bluetooth adapter, Baofeng Uv-5r HT and a eBay special android smartphone (appropriately from “Boost”). Note: You can view the Google Doc prepared for this flight with more detail. 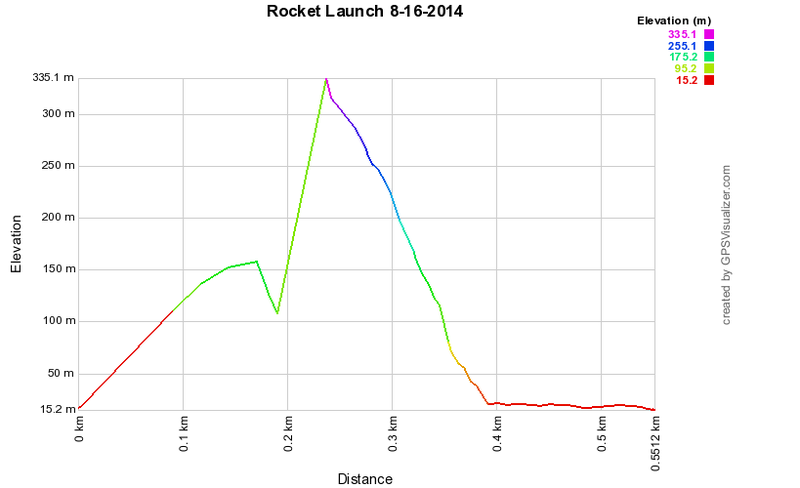 The ground station was connected via 802.11g while the rocket was sitting on the launcher. I was able to control the phone screen through VNC and start the audio recording, Sensor logger, APRS and My tracks while it was sitting on the pad waiting for launch. That capability was instrumental in starting and checking all the services prior to launch. Field conditions were excellent, although it was a little windy at times and very hot. Greg prepared the rocket while I prepared the ground station and prepped the payload. 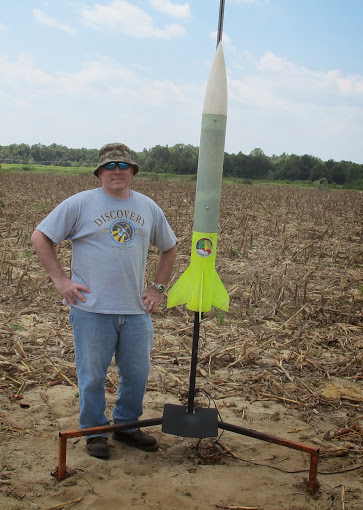 Greg decided to try out a new rocket motor that he had never used before. 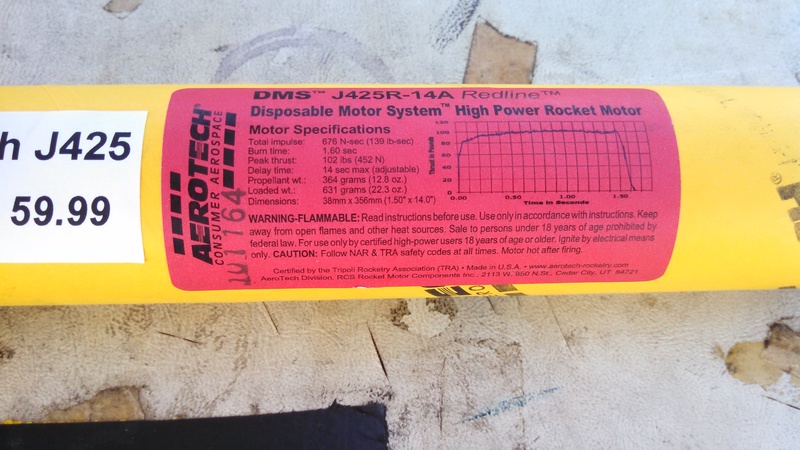 It was a disposable J425R-14A high powered rocket motor. It performed flawlessly from start to finish and sounded awesome! I was quite surprised in how the phone GPS performed. It lost GPS fix during the accent phase but quickly reacquired lock after chute deployment. 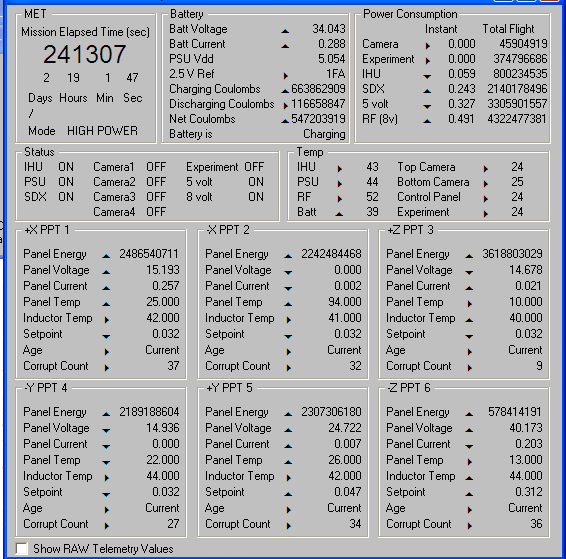 I chose My Tracks to do the GPS logging because of the logging rate and it integrates well with other GPS software. 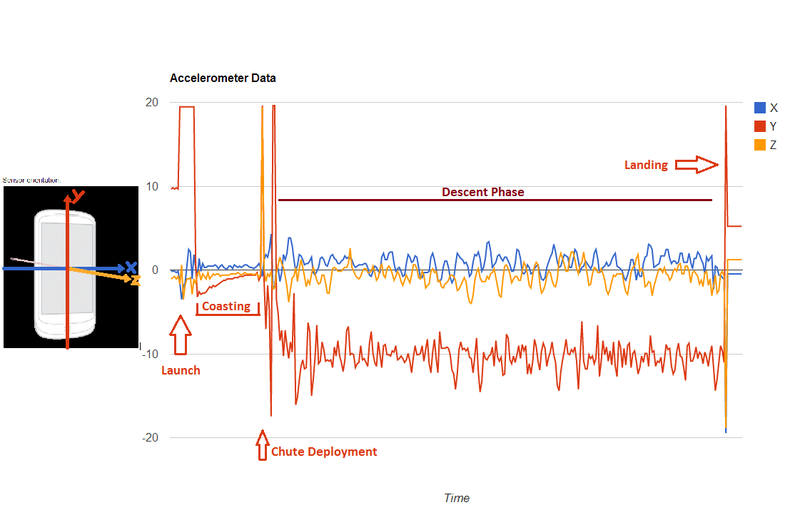 I am sure there is something better/faster but this seemed to work well for this launch. Please visit Greg’s post for more pictures and info. Video of Launch: The second half of the video is of smartphone audio synchronized with video, very cool! After a trip to our County EOC with our local club president, KK4DKT (Marv) and a short demonstration I wanted to know more about D-Stars. A quick search on the ‘net yielded some good information and a few youtube videos that explained the data portion of D-Stars Voice channel (DV). Apparently there is a slow speed data channel that is transmitted on every DV transmission. By slow I mean 1200 baud. Slow is not all bad though, you can transmit GPS data, text messages, small files and text bulletins. When in a communications blackout situation that slow speed link can be vital to emergency operations. That lead me to the D-RATS software. D-RATS (D-STARS spelled backwards) is so named because it has a full featured set of communications tools to take advantage of the slow (or high) speed D-Stars data channels. The author of the software didn’t stop there though. He added support for network, AFSK 1200 using TNC’s or AGWPE compatible soundmodems, serial and the DV Dongle. In the package he includes the ability to setup your own “Rat”flector that acts like a hub for communications of all connected nodes or devices. I was able to successfully use chat, QST (broadcast to all connected nodes), file transfer, email (to another connected node and winlink) and the connectivity tools using network and packet AFSK 1200. All without a D-Stars radio! I think it is an excellent piece of software that will enable connectivity using several different modes. For example I setup my home station connected to my “Rat”flector and my PK-232 TNC. 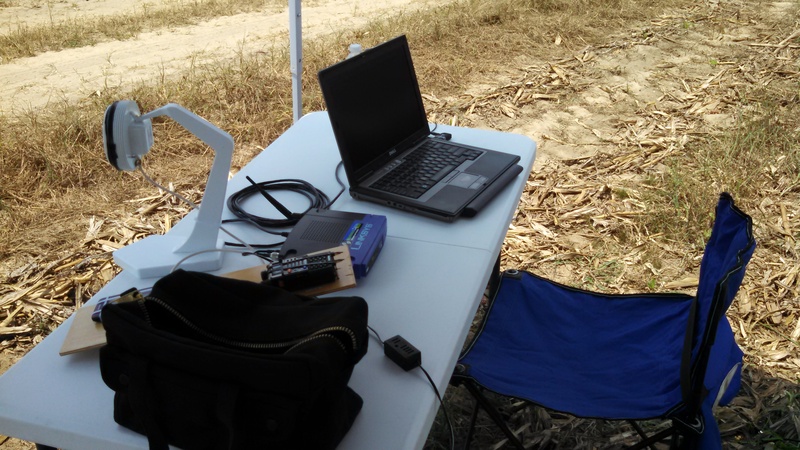 My mobile setup consisted of a laptop with the UZ7HO Soundmodem software, D-RATS and audio/PTT cables connected to a mobile radio. As a test I drove about five miles away and attempted to connect to the home station. Success! Right-clicking in the stations sidebar and selecting “Ping all stations” brought up my home station and allowed me to connect in the Files sections. I initiated a test transfer of a Rich Text document (170KB) and began to drive home. The entire file transferred successfully in about 5 minutes while on the move. I was officially impressed. Final thoughts: Don’t overlook D-RATS for personal, EOC, or club use. Even without a D-Stars system in place it has a lot of capability. When you do get that D-Star radio or your EOC implements it you will already be familiar with the functionality and operation. It is a great addition to your “Ham shack” or “to-go” kit. 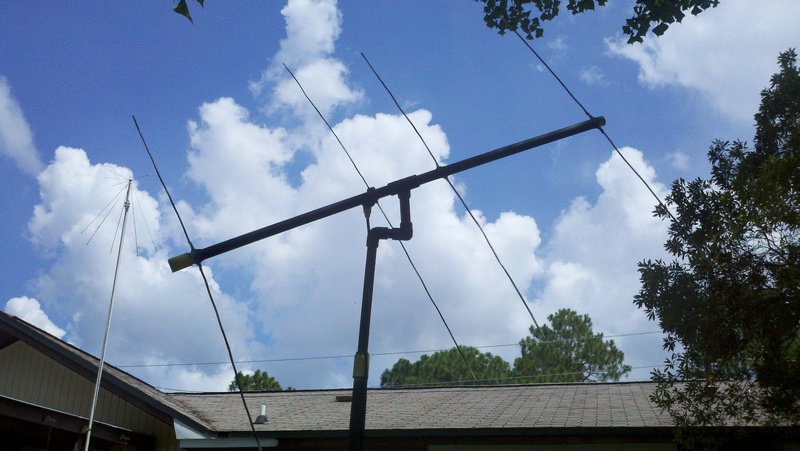 Amateur Radio enthusiasts have stepped up their game in Katy, TX. The South Texas Balloon Launch Team will launch a balloon at 1500 CST (2100 UTC) on Saturday, February 11th. 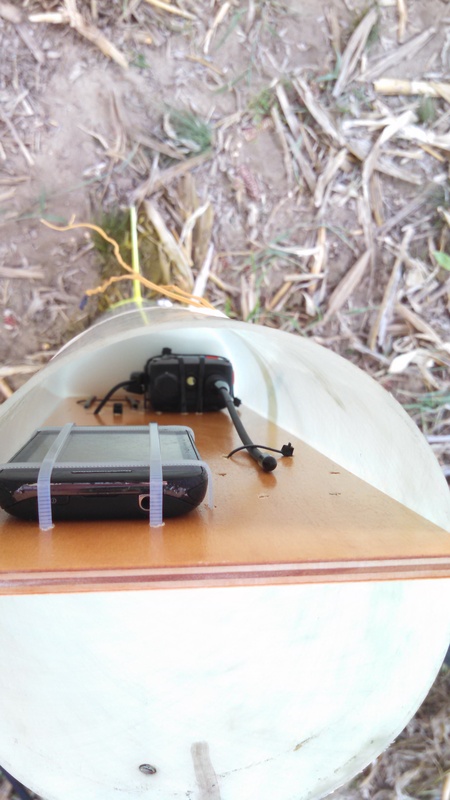 The primary goal of the launch is to send an amateur radio balloon across the Atlantic and Mediterranean to Nanjing, China, the final estimated destination. A unique feature of the balloon is the frequency agile APRS transmitter that will change frequency according to where it is geographically located. 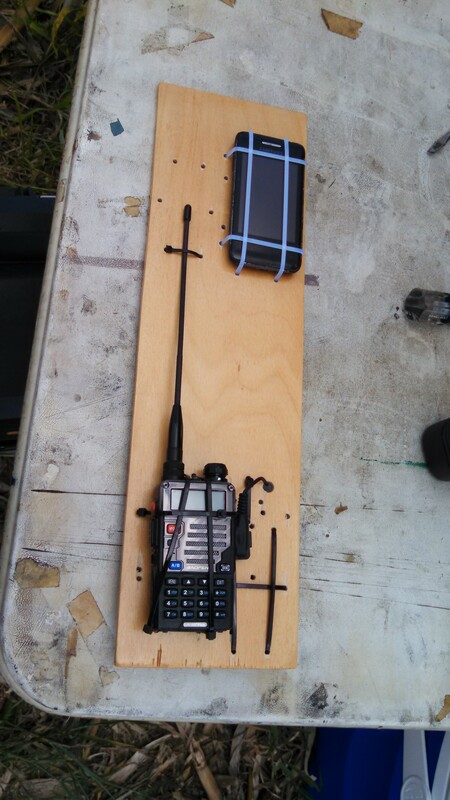 The call sign to be used for APRS is KT5TK-11. It will also use the orbiting International Space Station as a relay to reach ground stations thousands of miles away. This will allow anyone to view the balloon’s progress as well as speed, altitude and direction. This will be interesting to watch as it travels half way around the world. 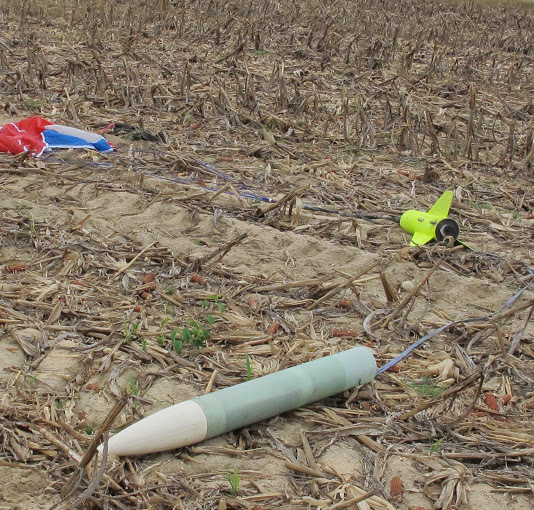 Andy, W5ACM stated the most likely cause for the loss of reporting was due to frozen batteries or electronics. He has posted pictures and videos of the BLT-28 launch on his site. 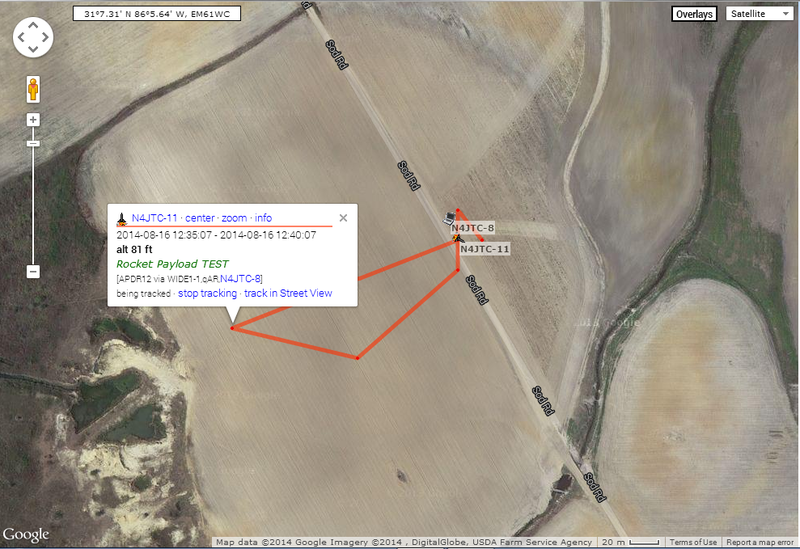 APRS.fi Tracking Page and APRS.fi Balloon Telemetry Page – cool! 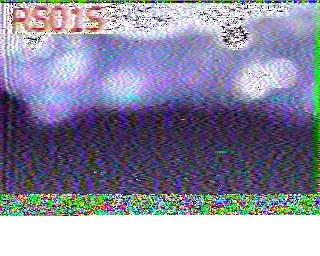 SDR? What does that mean? I know I asked myself the same question when first looking into how to get on the air on with the HF bands. 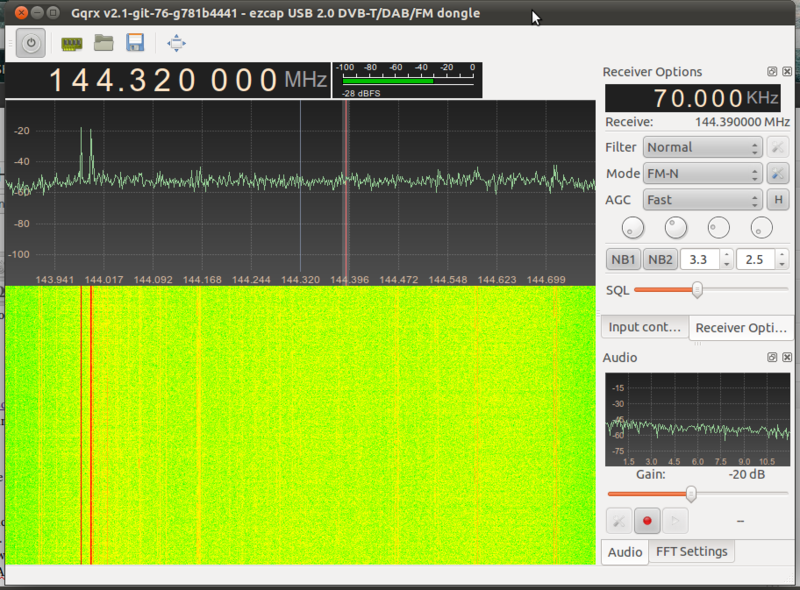 After a visit to a local Hamfast and talking to some very helpful Hams, I was turned onto the SoftRock SDR. 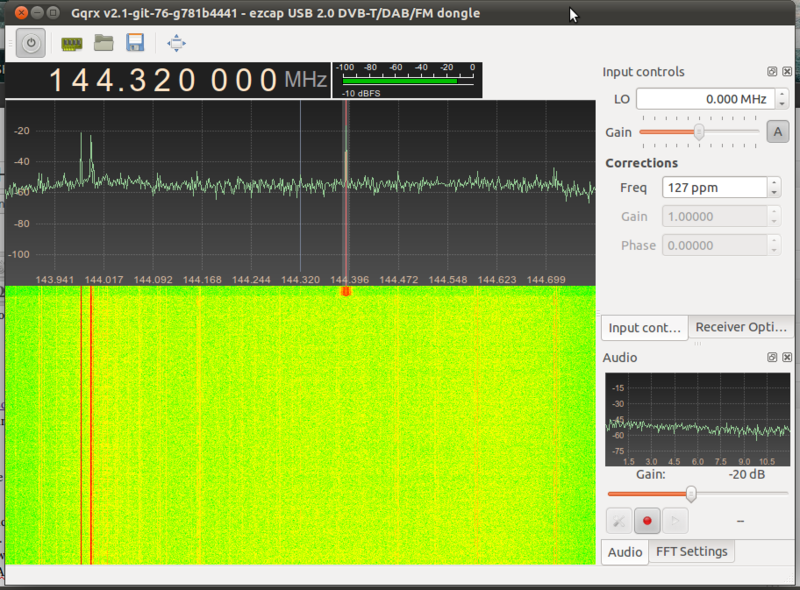 My mind was filled with SoftRocks and SDR’s and more questions… I still wasn’t very clear on how it actually worked. 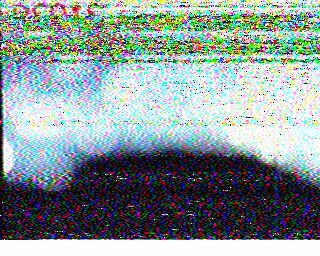 I knew three things: You needed a computer, SDR stood for Software Defined Radio and I really wanted one. Whenever I “Googled” SoftRock the top links were pointing to Tony Parks, KB9YIG site: http://www.kb9yig.com/ and WB5RVZ, http://www.wb5rvz.com/sdr/. Ok, I thought I will check out these kits and see if I can afford one. What was shocking to see was how inexpensive the kits are. Only one problem, every kit said to “Come Back Soon”. Just on a whim I decided to email the admin, which of course turned out to be Tony himself. I wanted to see when some kits would come available. He just happened to have some SoftRock Lite II Combined Receiver Kits available. I just couldn’t wait to get my first SDR! 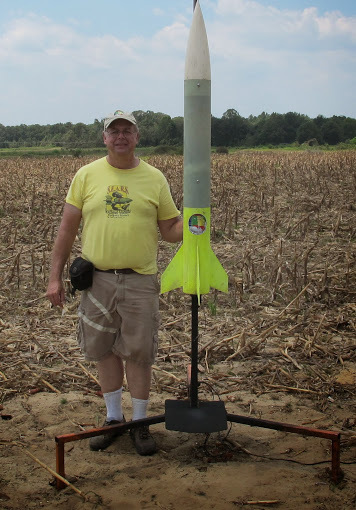 I recently had the privilege to attend a SEARS (SouthEast Alabama Rocket Society) rocket launch this past Saturday, October 15, 2011 with Greg, N4KGL and Sonny, KK4CVV. It was a blast (pardon the pun). A great bunch of folks just out doing what they love and enjoying every minute of it. Ok, what does the have to do with Ham Radio? 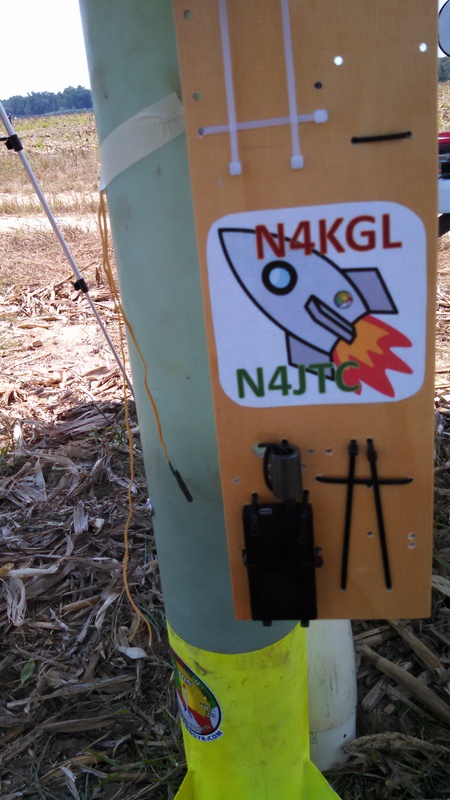 Greg Lane, N4KGL mounted a 20m Beacon inside a high power rocket to launch it over 1500 feet in anticipation that other QRP’ers were listening. 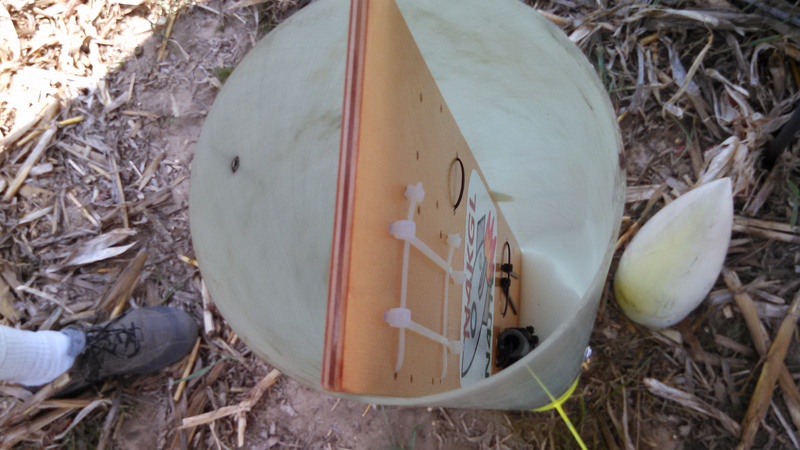 Greg prepared the RMS rocket motor, put in fresh batteries, packed the chute and put it on the launching rail. 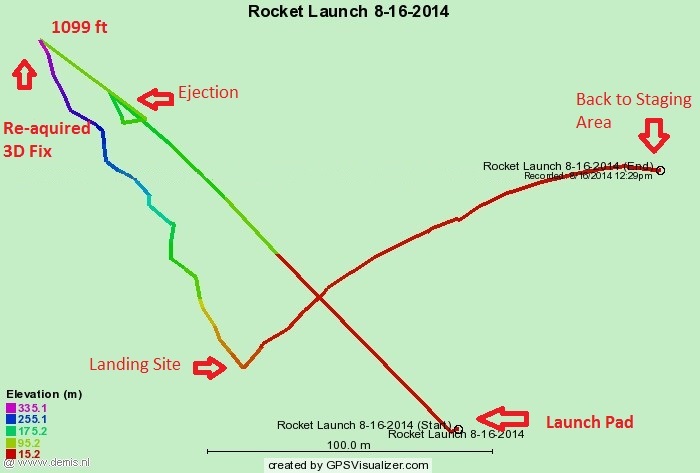 The proposed time to launch was at 1700 UTC. Everything was on schedule until the operational check of the beacon. With Greg’s portable Hamstick dipole raised and listening on the beacon frequency of 14.060 Mhz just a steady tone was heard. 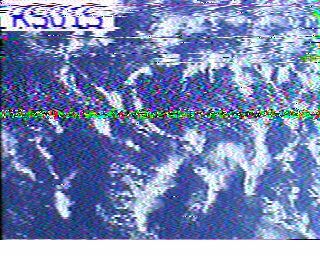 I assisted him in posting to www.qrpspots.com to notify of the five minute delay in launch time to troubleshoot the beacon problem. 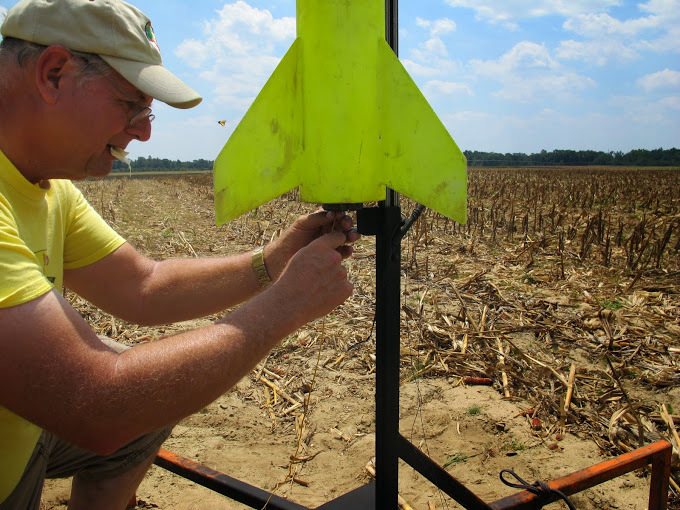 Greg quickly went out to the launch pad and fixed the issue. Beacon was loud and clear. Ready to launch. 5..4..3..2..1 … We have lift off! Great launch! Listening carefully.. No Beacon. Visit www.N4KGL.info for more information.